Dancers and Goddesses and Princesses too! The Barefoot Gook of Dance Stories - This gorgeous collection will enchant young dancers with stories from eight cultures, including the Polka in the Czech Republic, Limbo in the West Indies and the Waltz in Germany. Book with CD editions include stories read by actress Juliet Stevenson. This beautiful hardcover book with CD is usually $23.99, now on sale for $15.99. The Barefoot Book of Ballet Stories - The stories in this collection feature magic and comedy, drama and adventure, and are accompanied by a brief history of classical ballet, as well as historical details of the composition, choreography and early performances of each ballet. 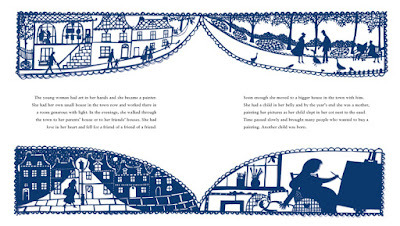 Book with double CDs edition includes stories read by actress Juliet Stevenson. This hardcover with double CD set is usually $23.99 and is on sale now for $15.99. 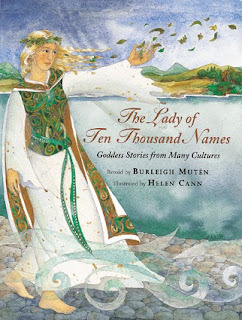 The Lady of Ten Thousand Names: Goddess Stories from Many Cultures - The eight stories in this elegant collection are based on traditional tales and sacred texts, and are models of female leadership, authority and wisdom. This lovely hardcover book is usually $19.99, now on sale for $13.99. The Barefoot Book of Princesses - Meet seven very strong and special princesses in this collection drawn from sources from around the world. Each faces challenges and trials, and each finds a way to triumph with bravery, compassion, ingenuity and a little bit of luck. Book with CD editions include stories read by Margaret Wolfson. 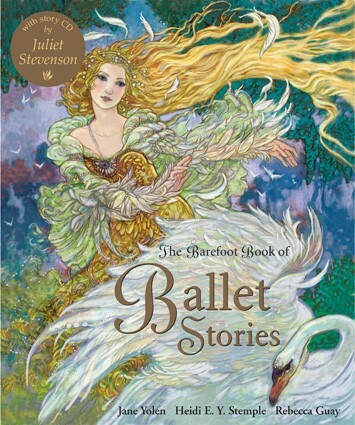 This hardcover collection with story CD is usually $19.99, on sale until Monday for $13.99. The gift book sale runs through Monday, and remember that you can get an additional 30% discount if you use the code FESTIVE when you place your order! And if you upgrade to 2-day shipping, you can still get your books in time for Christmas if you order during the sale. 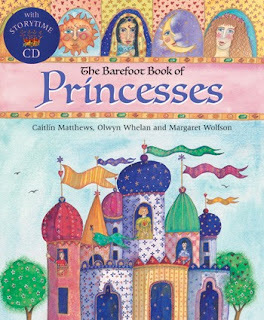 Isn't there a little princess or two in your life who would love these books? Good news for the weekend! Enter the code FESTIVE when you place an order at the Barefoot Books website, and receive an extra 30% off! This offer is good through Monday December 19th! If you need your books for Christmas, there is still time to place an order if you upgrade to 2-day shipping. And remember that there are several gift books on sale at a 30% discount through Monday as well, so you can buy gifts for everyone at a very good price! Now go and be FESTIVE! 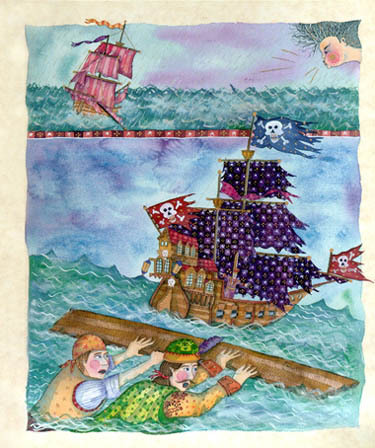 The Barefoot Book of Pirates includes seven pirate stories from around the world. 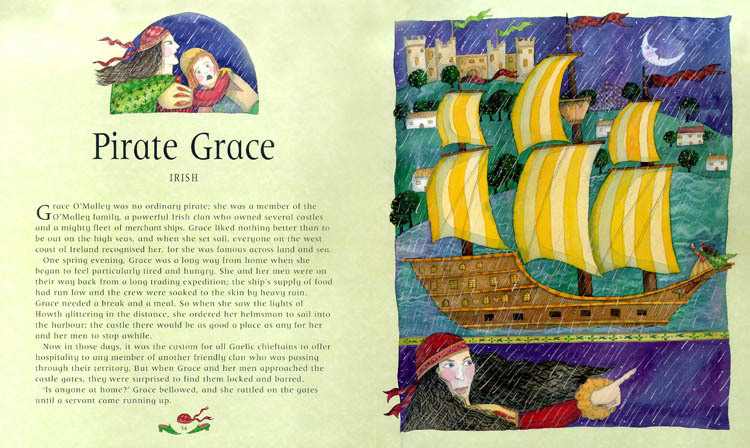 There's a story about Robin Hood and the Pirates, pirate stories from Japan and Morocco, and there's even a story about a woman pirate - Grace O'Malley from Ireland. 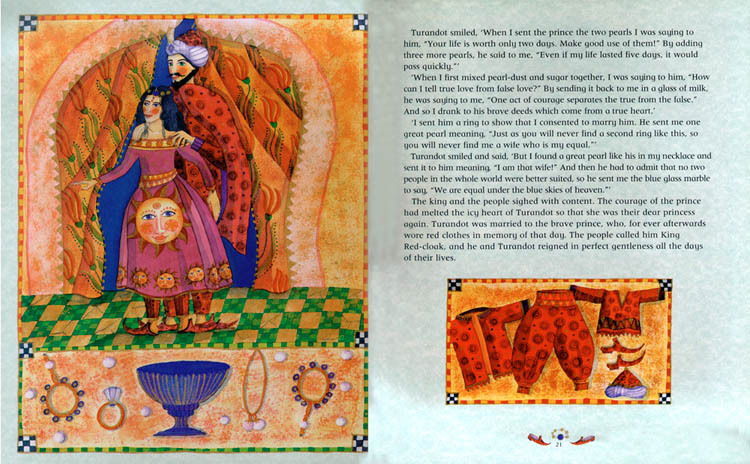 This book is for children ages four to nine. 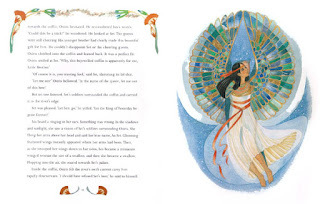 My four-year-old loves to read these stories at bedtime, and even though there are a lot of words on each page for a four-year-old to digest, the gorgeous illustrations hold her attention while I'm reading. This is a book that your child can definitely grow with and enjoy for many years! The hardcover version of The Barefoot Book of Pirates, which includes a story CD, is usually $19.99 but is on sale through Monday for $13.99. Want to enhance the pirate experience for the child who receives this book as a gift? Add in this 100-piece puzzle based on one of the illustrations from the book! 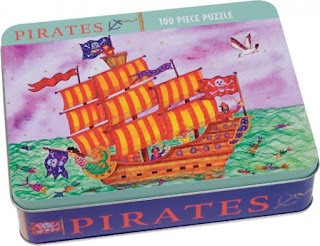 Merry Christmas to all the little pirates in your life! Great Gift Books - on sale now! Have you finished your holiday shopping yet? 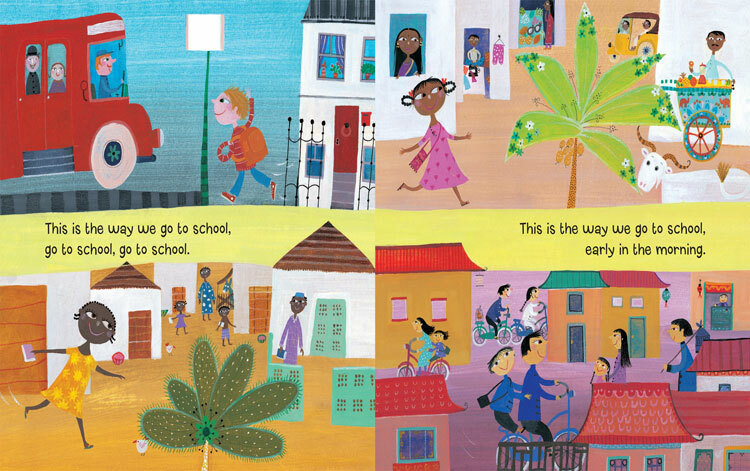 If not, there is still time - and still time to save on Barefoot Books for the holidays! This week, through Monday December 19th, Barefoot Books is offering 30% off on a selection of books that make great gifts. 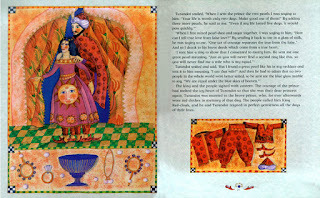 Classic collections of stories, timeless tales, poetry, and activity cards. Check out the entire sale list here. 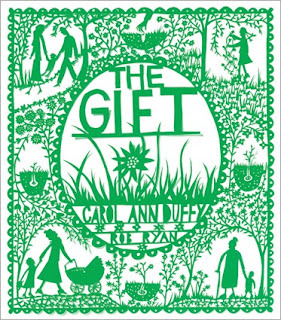 Here's a book that's on sale this week, with the appropriate title of The Gift. 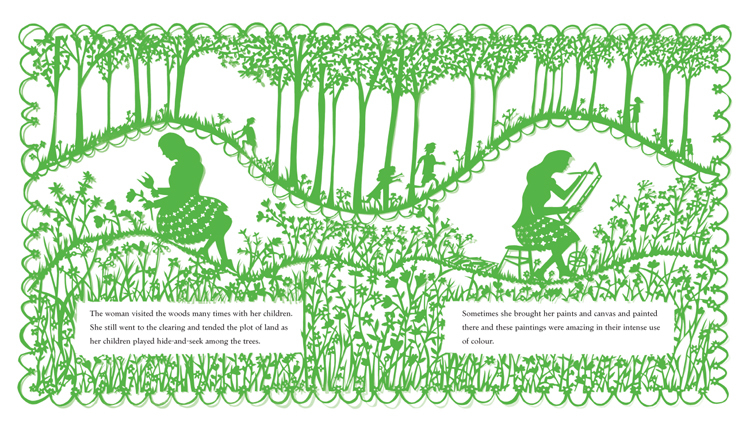 From the Barefoot Books website: The exceptional talents of Carol Ann Duffy and papercut artist Rob Ryan combine to present the story of a girl’s journey through life and the desires that shape it. With a kind of magic that is timeless, The Gift speaks to everyone who wonders about the mysteries that lie at the heart of the human experience. The website says The Gift is for children eight years old and up, but I think it could be appropriate for younger children who are ready for this conversation. I know that I will be buying this book myself to help my four-year-old understand the cycle of life and death. 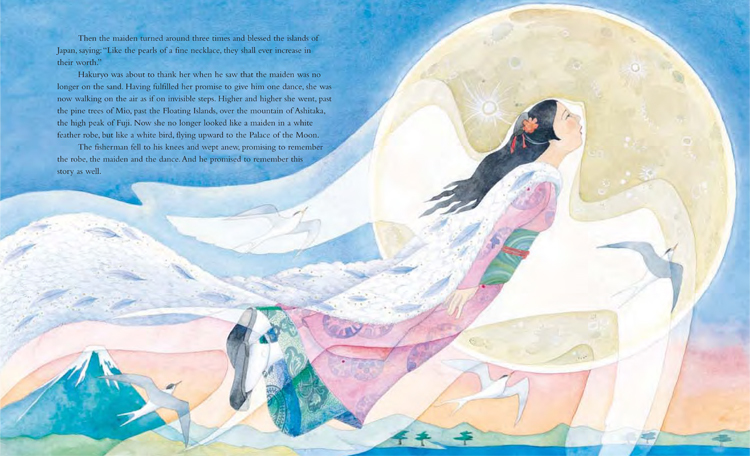 The illustrations in this book are so delicate and beautiful, as we've come to expect with every book from Barefoot. 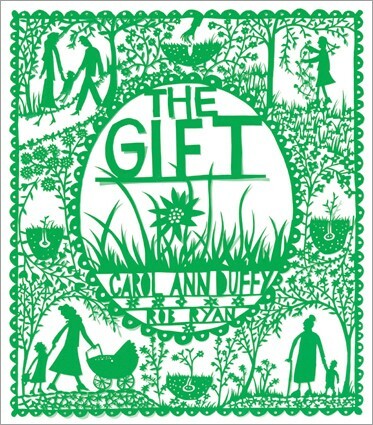 The Gift is a well-made and sturdy hardcover book that is usually $16.99 - on sale through next Monday for $11.49. Buy one for your own family as well as any other families on your gift list. 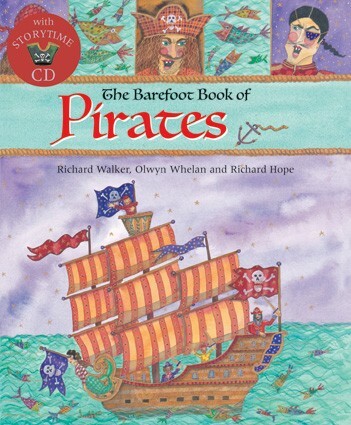 Have you taken advantage of the singalong sale at Barefoot Books yet? What are you waiting for? Tomorrow is the last day of the sale - and Thursday is the last day to order for delivery by Christmas! Isn't this artwork simply gorgeous? over the deep blue sea. The pirate's life for me! 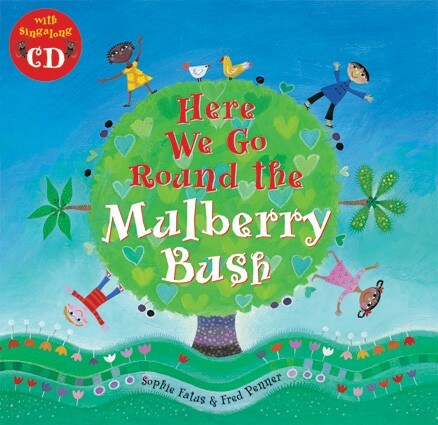 This song is so catchy and contagious, I can't help but sing the words myself when I read the book to my daughter! 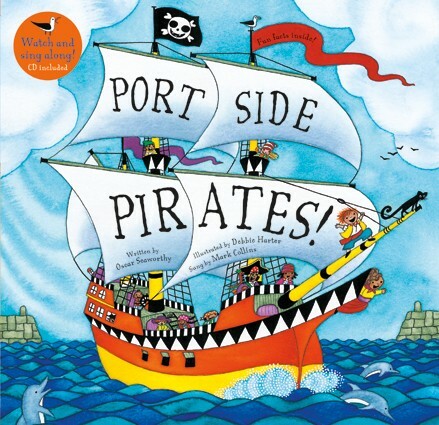 Portside Pirates is appropriate for kids ages three to seven years; younger kids will love the repetition of the song and the colorful pictures, while older kids will learn all sorts of stuff from the end notes - about the names for parts of a ship, historical pirates and pirates around the world. The hardcover with enhanced CD (includes a video of the story and song) is usually $16.99 but it is now on sale for $12.49. Illustrated by Sophie Fatus and sung by Fred Penner. 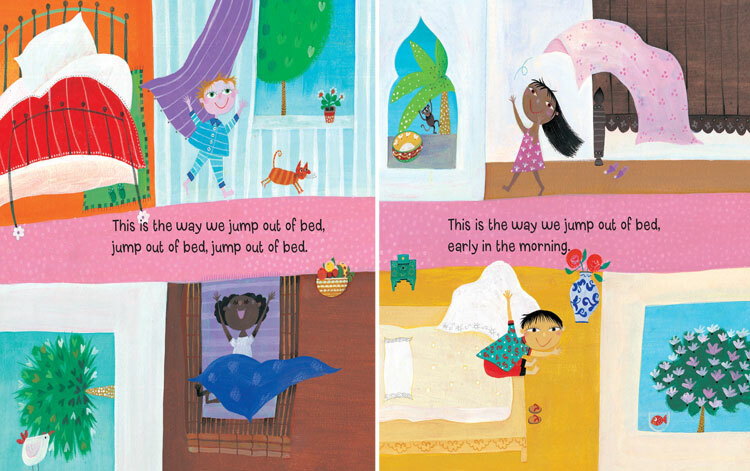 Four children, from Europe, Mali, India, and China, show us how they jump out of bed, brush their teeth, comb their hair, go to school, and more - early in the morning! My daughter loves to point out the different ways that kids do things around the world, as represented in these pictures, and I love that she gets to see that there are many possible ways to live. I hope that she grows up with an appreciation for the similarities and the differences of people around the world, and books like this help me foster that. 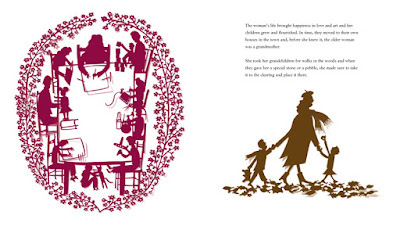 Both the hardcover version with CD of Here We Go Round the Mulberry Bush and the paperback version with enhanced CD are on sale until tomorrow. The hardcover is usually $16.99 and is now $12.49, while the paperback is usually $9.99 and is now $7.49. Go check out all of the singalongs on sale this week, they are all wonderful and amazing! I am about halfway done with my holiday shopping right now - most of my nieces and nephews are getting Barefoot Books! You can use your discount code from the Global Giveaway for 30% off your total order through December 31st. If for some reason you didn't enter the Global Giveaway, use the discount code AMBTWY to receive 20% off your total order - but you can't use both on the same order. Shipping is FREE if you spend at least $60. The last day to place an order and receive it by December 23rd is Thursday December 15th at 11AM Eastern time. If you place an order after the 15th and want to receive it in time for Christmas, you will have to pay extra for faster shipping service. My suggestion? Order now to make sure all the kids on your holiday shopping list receive the gift of Barefoot this season! Not sure what they might like? You can give a gift card! Finally, if you are in the Boston area and are interested in a particular book, email me at inventingliz(at)gmail(dot)com - I just might have it in stock and could save you some shipping costs and holiday anxiety! Here's hoping your holiday shopping is effortless this year, the Barefoot way! This week - today through next Monday the 12th - Barefoot Books is having the best sale ever: 25% off on several books with singalong CDs! 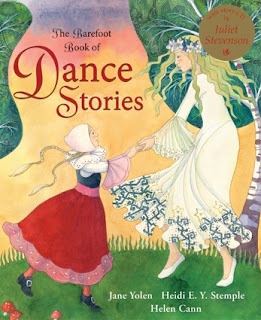 The singalongs are really my favorite Barefoot Books, my daughter and I both love them all. In addition to the beautiful illustrations, diverse characters, and fun educational features that are standard in just about all Barefoot Books, the singalongs also include CDs with amazing songs. In fact, this sale is not quite as exciting as it could be for me personally because I already own almost all of the books that are on sale this week. But it could be a very exciting week for you! Up, Up, Up! 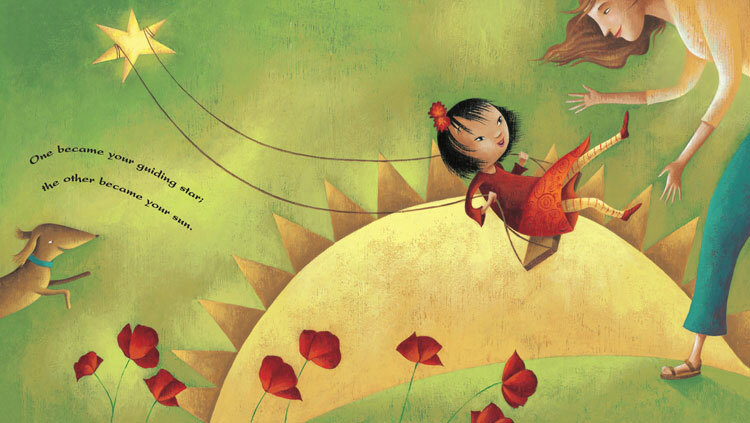 - Go on a balloon ride all around the world with three kids, a dog, and a mouse! The hardcover version is usually $16.99, during the sale it will be $12.49. Knick Knack Paddy Whack - A new twist on an old classic, including educational end notes on the different types of musical instruments. This hardcover is also usually $16.99 and is on sale for $12.49. If You're Happy and You Know It - Upbeat, fun, diverse, we love this one! This is also a hardcover marked down from $16.99 to $12.49. There is also a new Children of the World memory game based on the kids in this book - add it to your order for extra fun! The Animal Boogie - This book changed my life - seriously! This hardcover has an enhanced format CD, is usually $16.99 and is on sale for $12.49. There are several more on sale that I own and can tell you about - I will do that later in the week. In the meantime, go check out the sale! On Saturday I did my first school fundraiser with Barefoot Books, and I am definitely planning to do more in the future. I found out about the event from my Ambassador Team Leader - she had done this particular event in the past but couldn't do it this year. I was a little nervous about doing my first big event in person, but I knew the time was right to take that step. The fundraiser was for a pre-school in Cambridge. They do it every year around the holidays and have good participation from parents of current and former students at the school, as well as parents of prospective students. They were selling Christmas trees and wreaths outside, coffee and baked goods and pizza and other food inside, and had a couple of vendors like me who had agreed to donate a percentage of our total sales to the school. I already had a few books in stock that I could bring to the event, but I had to place a large order to make sure I would have enough on hand. Time was tight with Thanksgiving falling right before the fundraiser, but the books I ordered arrived in time. I made sure to have plenty of board books for the pre-schoolers (Bear and Cleo the Cat are my favorites), and stocked up on as many singalong books as I could because those are a huge hit at my house and they are probably the books I know best from the Barefoot collection. I added some books for older kids - pre-schoolers have older siblings too who need gifts too! - and a few holiday-themed books since the event had such a Christmas feel to it. 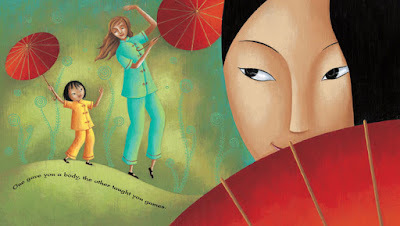 The school offers bilingual classes in Mandarin, Spanish, and French, so I also ordered a selection of books with a Chinese theme; my Team Leader lent me a good amount of Barefoot books in Spanish and French, so I would just have to reimburse her for the ones I sold and return the rest. I fell a little short of my sales goal for the day, but the school will get a $70 donation from me and I got some great experience plus a lot of potential new customers so I think it was a win-win situation all around. And, one of the teachers took a catalog from me and wants to place a large order for the school; I told her that I would give them a 10% discount if they ordered at least $250 worth of books from me, so the win-win will last a little longer too! I would love to do this fundraiser again next year, and by then I should have plenty more experience to help me get those sales numbers up, up, up! 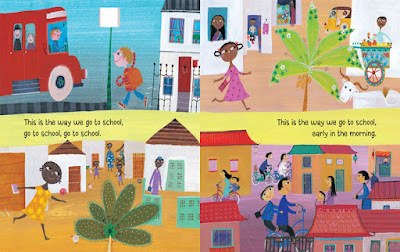 If you are located in the Boston area and would like to use Barefoot Books as part of your fundraising efforts for a school or other type of organization, please contact me at inventingliz(at)gmail(dot)com so we can work out the details. I'm sure we can figure out a way to create a win-win situation for your organization as well! 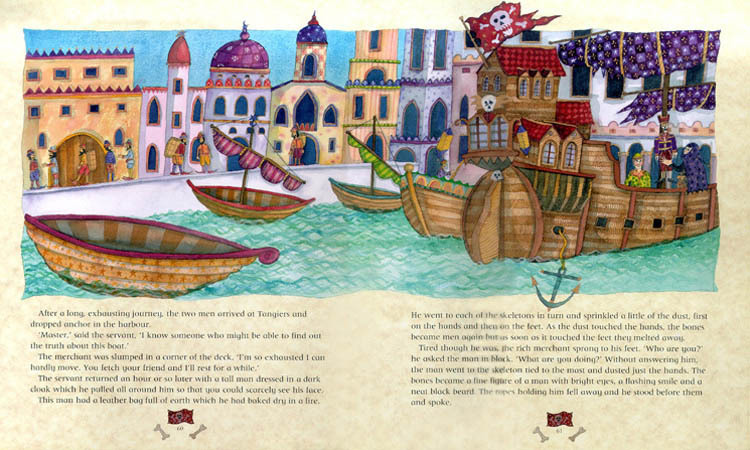 Barefoot Books is currently running a sale on several of their Travel the World titles - there are some really great deals to be had, so go over and check it out! This sale runs through Monday December 5th. One book that is currently on sale is Motherbridge of Love - a very nice addition to your library if you are looking for books that address adoption issues. 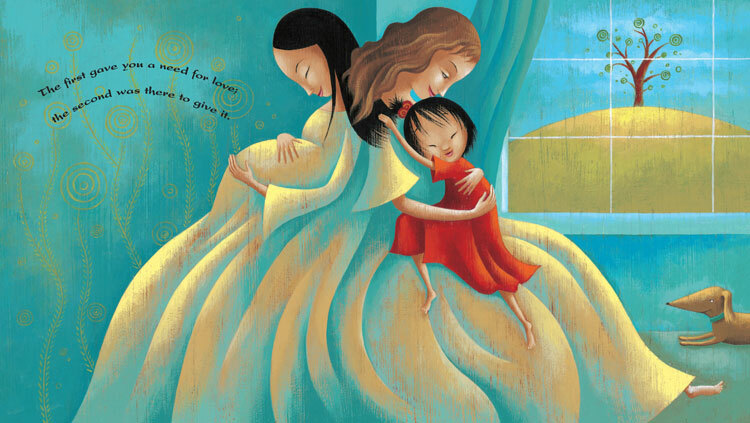 Mother Bridge of Love is a charity founded by a Chinese author and journalist who has made it her mission to create a bridge of understanding between the Chinese birth culture and the Western adoptive culture of adopted kids. 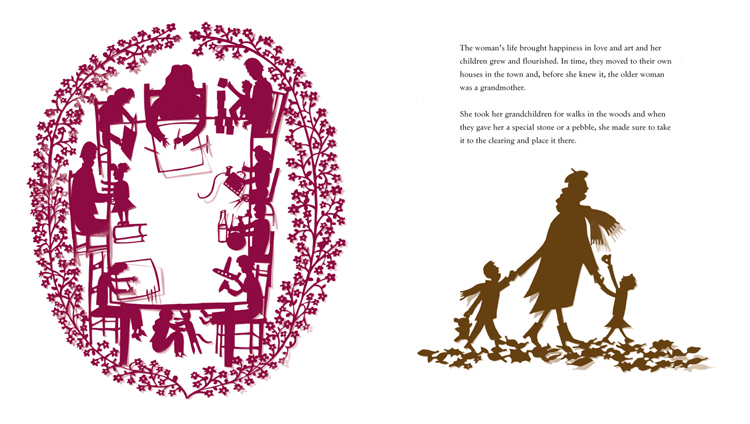 This book is based on an anonymous poem that was written for the charity, with beautiful illustrations by Josee Masse. 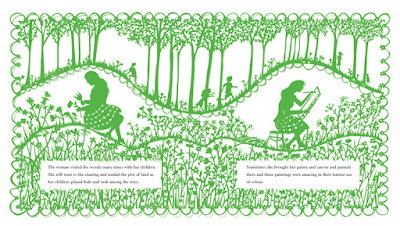 Royalties from the book are donated to the charity to help them continue their work. One you do not know. Two different lives shaped to make you one. One gave you a body, the other taught you games. One gave you a talent. The other taught you aims. I have to admit that this is not my favorite book to read...I am not a super sentimental person, and Motherbridge of Love is just a little too sappy for my tastes. But my daughter enjoys it, and any book that shows another little girl with two mothers - one she knows, one she doesn't remember - is a book that I want to have around. 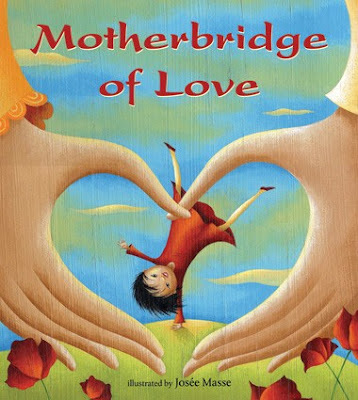 Motherbridge of Love is a sturdy hardcover book with a dust jacket, made to last through years and years of reading. It is normally $16.99 but is on sale for $13.49 from now through Monday December 5th. Add a copy to your library now, or give one to an adopted child on your gift list. Remember that you can use your discount code from entering the Global Giveaway contest until the end of the year to receive 30% off your order (but you can only use it once! ), and that you will receive free shipping on all orders over $60. See more Travel the World titles on sale here!